A good cookware set will make a huge difference to your daily cooking experience. Having everything you need, and high-quality items at that, will make your culinary adventures smoother and more successful. The issue is…so many great cookware sets are cringe-inducingly expensive. Don’t worry, we’ve got you. We’ve found a few absolutely awesome cookware sets. They’ve all got a wide range of items to cover most cooking methods. They’re all made with hard-wearing, high-quality materials. And they’ve all got that crucial approval of thousands of honest reviewers who awarded them at least 4 stars. This set has a famous name behind it, but it definitely stands on its own quality. You get a 1-quart saucepan with lid, 2-quart saucepan with lid, 6-quart stockpot with lid, 3-quart saute pan with lid, an 8.5-inch skillet and a 10.5-inch skillet. This is a super well-rounded set to cover all bases, there are no gaps to fill. The materials are very impressive for the low price, made from hard-anodized aluminum. Basically, this just means that the aluminum has been fortified and treated to be extremely durable. It also helps the pots and pans to carry the heat evenly, which prevents those dreaded hotspots. Each piece has a non-stick exterior which makes for easy transferring of food, easy cleaning, and all-around simple cooking. One of the greatest features of this set is that all of the parts can be used in the oven, up to 350 degrees Fahrenheit. This means you can brown meat and soften onions for casseroles and stews on the stovetop, then pop it into the oven to slowly cook. The handles have been thoughtfully (and colorfully) designed. They are bright orange and are coated with a rubberized material for a strong, safe, cool-touch grip. The lids are also pretty stylish looking, with tempered glass so you can keep an eye on your food. The clean-up is super easy, as you can throw it all into the dishwasher. This is always a very welcome benefit of any cookware. A high-quality, highly-rated cookware set with everything you need to set up your kitchen. 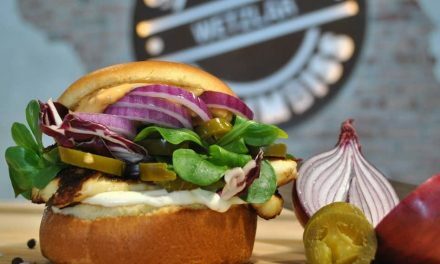 Awesome, user-friendly benefits such as oven and dishwasher-safe materials, and a durable construction. Cuisinart is a trusted, high-quality brand, and this 12-piece cookware at a great price is evidence of their honed craft. 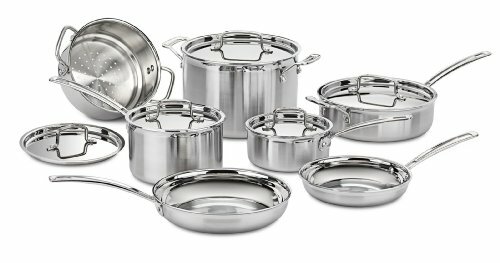 This shiny, silver set comes with: 8-quart stockpot with lid, steamer with lid, 3.5-quart saute pan with lid, 1.5-quart saucepan with lid, 3-quart saucepan with lid, 8-inch skillet and 10-inch skillet. This is a full set, there’s nothing missing that a home cook would need. The quality is impressive, right down to the materials. Made from MultiClad Pro (i.e. 3-ply stainless steel), these pots and pans are incredibly tough and durable. They’re designed for even heat distribution, eliminating hot spots and unevenly-cooked food. The rims are carefully curved to ensure non-spill, non-drip pouring of liquids, which is always a handy touch. 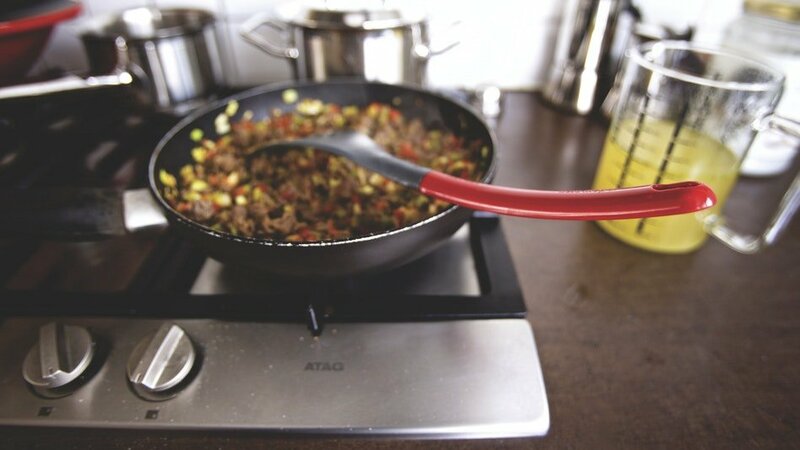 Even though the handles are stainless steel, they have been designed to remain cool enough to handle during stovetop use, and that includes induction stovetops! This comprehensive cookware set is oven-safe up to 550 degrees Fahrenheit which is fantastic. 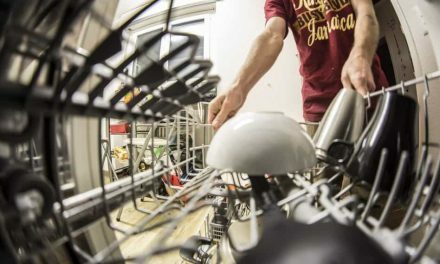 Oven-safe pots and pans increase the versatility and user-friendliness by miles as you can move seamlessly from oven to stove without switching cookware. Clean-up is no worries, as every piece in this set is dishwasher safe. A perfect cheap cookware set for anyone wanting a shiny, modern-looking aesthetic. They are not non-stick, but many happy customers have reported that they have not had any issues with sticking. This is the largest affordable cookware set on our list, with 14 pieces. It’s a set for those of you who don’t have an induction cooktop (it’s not compatible), and require that non-stick interior. T-fal is a trusted brand, and the thousands of positive comments secure this set as a real winner. 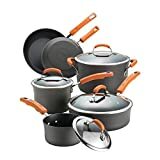 This thorough set includes: 1-quart, 2-quart, and 3-quart saucepans with lids, 8-inch and 10.25-inch frying pans, 3-quart steamer with handles, 11.5-inch frying pan with lid, 5-quart dutch oven with lid, and a 10.25-inch square griddle pan. Everything you need. We love the hard-anodized aluminum make-up of this set, as it tells us that it’s extremely durable and distributes heat evenly. We also love that the handles are coated with silicone to keep them cool for safe, burn-free handling. The interior is non-stick, great for easy cooking and easy clean up. It’s also scratch-resistant which means you’re free to use your metal utensils. The star of the interior is of course, the T-fal Thermo-spot heat indicator. The center circle turns red when the pot or pan is hot and ready to cook. 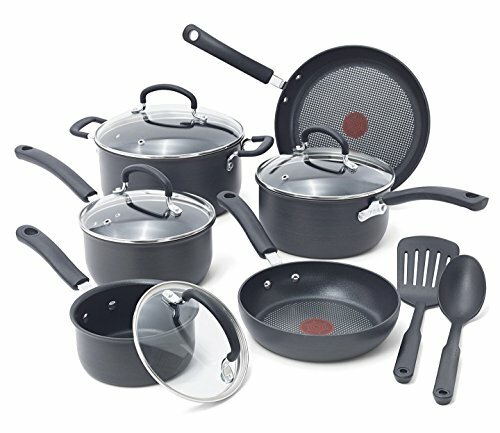 A thorough set which would be especially great for beginner home cooks. It has absolutely everything a home cook needs, and offers the assistance of a non-stick interior and heat indicator. All three of the cookware sets on our lists combine the benefits of hard-wearing, durable materials, cool-touch handles, and a wide variety of items. They’re super versatile as they can be used in the oven, then washed in the dishwasher. 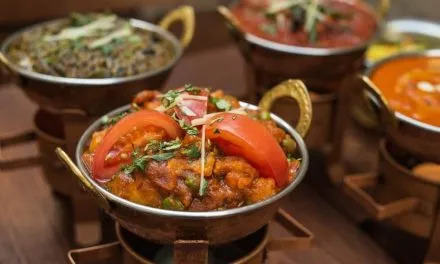 They offer a wide range of shapes, sizes, and cooking options for almost any dish you desire to make. And best of all, they come at a great price. 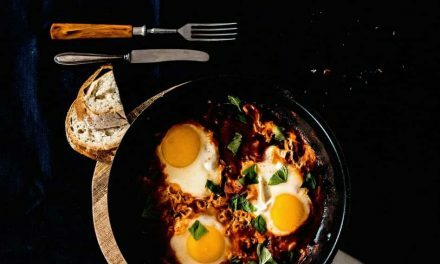 PreviousWhat cookware do chefs use?